Get to know all about the newly launched, upcoming bikes and scooters. TVS Motors is a renowned brand name of India, which win the battle from international motorcycle manufacturer companies. This two wheeler manufacturer has succeeded to become highest selling bike, since it began the sports bike category. In 2007, the company has introduced the most successful TVS Apache series in the sports category. TVS begun the leading motorcycle maker of the country which holds top position in the sports segment. The Apache 200 TVS 4V is the elder sibling of the Apache RTR 180, in terms of the design. Here we are describing about series of Apache which shook the Indian market as Apache RTR 160 Hyper Edge, Apache RTR 180, Apache RTR 180 ABS and Apache RTR 200. The Apache is known as dynamic performance and incredible features. 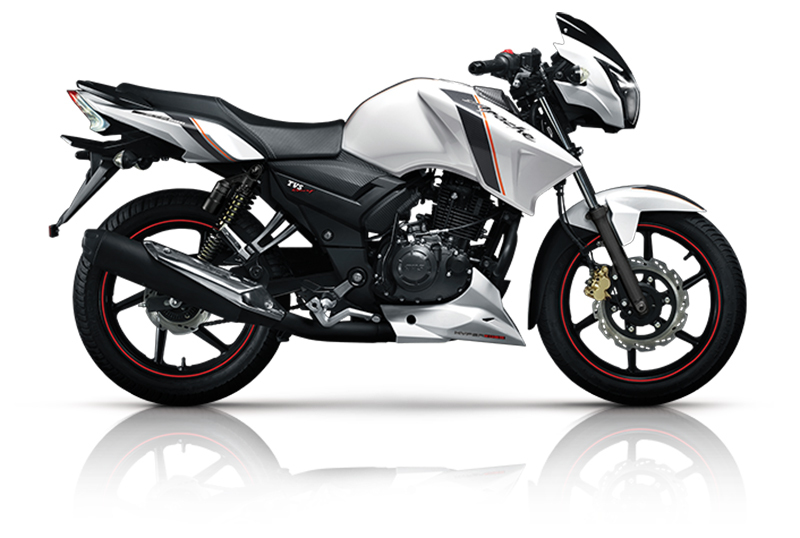 TVS Motors begun the Apache series with the Apache RTR 160 in the years of 2007. 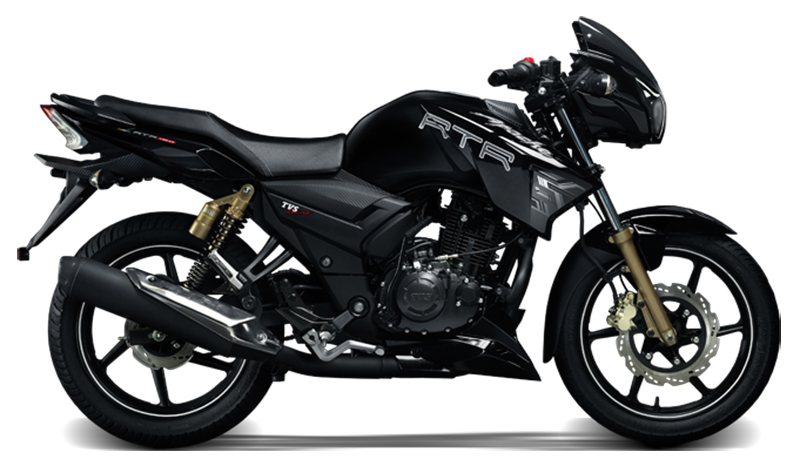 The RTR stands for the "Racing Throttle Response" which implies that motorcycle is designed for the racing purpose. Recently the RTR 160 refreshed in to Apache RTR 160 Hyper Edge with new features and decals to offer a better sports bike. It has received dynamic balancing power as it as featured with telescopic suspension at front side and mono suspension at rear side. The bike comes equipped 17 inch alloy wheels and gets a lap timer in the instrument console which is used to compute the last three 0-60 KMPH timing. TVS Apache is the first bike in India who featured with the petal disc brake which manages the braking duties. The bike is delivered the maximum power 15.2 BHP with the help of an air-cooled, single cylinder, four stroke and 160cc and the engine mated to the five-speed gearbox. The bike is priced at INR Rs. 73,889/-(ex-showroom, Delhi). After the success of the previous bike, TVS Motors has launched the next fire-blade flagship bike Apache RTR 180 to compete the Bajaj Pulsar 180 DTS-I. It comes with a stylish design and new features which give the dynamic performance. Apache 180 is the first bike which is equipped with the ABS or Anti-lock Braking System, which manages braking duties and enhance the braking experience. The low mounted handle bars and foot-pegs are slightly pushed rear side which allow the rider a sporty seating position. The motorcycle comes with the a new headlight with two LED DRL strips which mounted with handlebar. The braking duties are performed by the ABS with disc brake in the rear and front side. The handling and riding is very easy as it is featured the low wheelbase type and low mounted handlebar. In Apache 180 ABS, six-spoke alloy wheels and it starts with electric starter. It is powered by an air-cooled, single cylinder, 177.4cc engine which produces maximum power 17.3bhp at 8500 RPM and maximum torque 15.5NM at 6500 RPM. This model is equipped with five paint options such as Grey Matte, White, Black, Matte Blue and Matte Black. The Apache RTR 180 is available in two variant, Standard, ABS and Matte Blue Edition. The standard model is priced at Rs. 77,519/-(Exclusive showroom, Delhi), ABS model is priced at INR Rs. 88,257/-(Exclusive showroom, Delhi). The Indian motorcycle maker, TVS Motors is a leading brand of India and this manufacturer has decided to challenge the other bike makers which are manufacturing middleweight bikes. 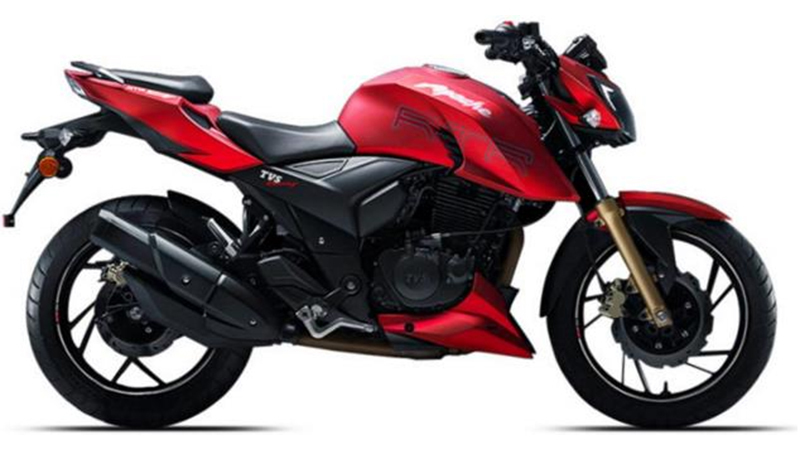 TVS launched its new Apache series, Apache RTR 200, which made on the Draken 250 concept. Likely, the bike launched in the January 2016 that was showcased in Auto Expo event in the year of 2014. The next flagship of Apache is powered by a oil-cooled, single cylinder and 197.75cc engine which produces 20.5 BHP power and 18.1Nm torque and engine is mated with six speed gear box. It is introduced with the new features to compete its rivals such as front side telescopic forks suspensions and mono tube monoshock at rear side, an advance instrumental cluster and ABS which are optional. The braking duties are performed by the petal disc brakes. Likely manufacturer made the street sports version for the rider of street fighter motorcycle, Apache RTR 200 in nowadays. The price tag of the bike is INR Rs.88,990/-(Exclusive showroom, Delhi). sagmartbikes is using Hatena Blog. Would you like to try it too?